Midland's Autonomous Africa gang regroup for a 3rd session, this time accompanied by General Ludd. 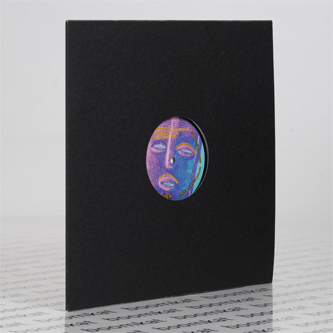 Midland opens with the raspin' drums, chants and Carl Craig-style progressions of 'Safi' beside General Judd's scuffed 'n skippy Glasgow bassbin killer, 'Burning Mask'. 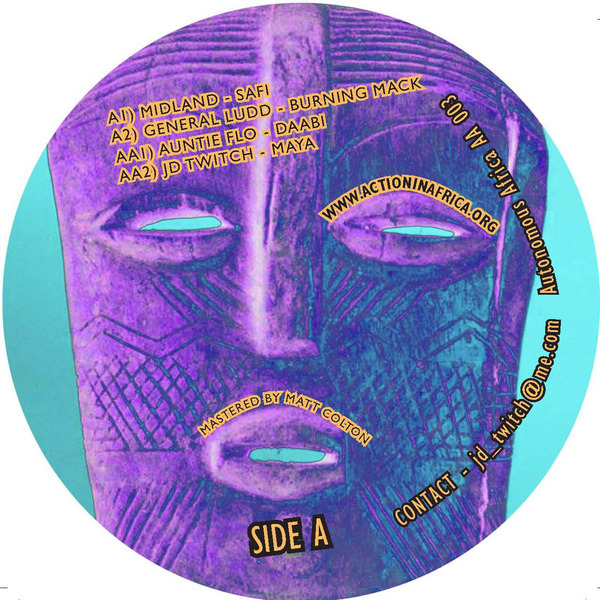 B-side, Auntie Flo captains the soulful, hypnotic vocal and drum percolations of 'Daabi' somewhere between London and Tanzania, and we find JD Twitch at his loosest with the lilting riddmic cadence of 'Maya' making for a dizzy tribal trip. All of the label's profits from sale of this record go to the Mtandika Mission in Tanzania.